Greetings to everyone on this Thanksgiving Day. We have been in our new adopted homeland of Nicaragua for 2 Thanksgiving holidays. The weather this day is just as beautiful as we remember it from last year. The sky is so deep blue with no clouds and the temperature is 82 degrees with 40% humidity. This time of year in Nica is so wonderful. We have had a very busy month. School goes on as usual, our weekly outreach at El Zapote with the class and members of our church, a brief 5 day trip to Orlando to satisfy the temporary residency requirements of the Nicaraguan government (I have no sympathy of the illegal immigrants plight at this time in the U.S.) and our household has grown by 4 persons. 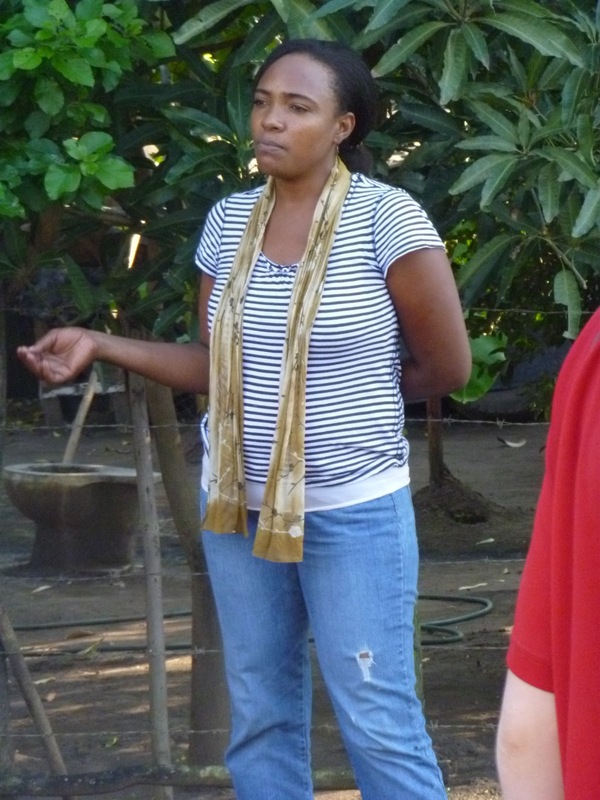 At the end of October, a young woman who was in the Remar program came to live with us. She is an answer to many months of prayer in our desire to have someone help with the housework. How Darcy came to be with us and her first days in our home is a story worth telling and I will do a special post on her very soon. During Darcy's second week with us, she brought Aroldo home. We had been looking for him for weeks and she was able to locate him. I have done a post about Aroldo last week, please review our blog. After our evening meal, I was at my desk and Aroldo came to me announcing that Noel (see October 2010 blog) was outside our gate. I could not believe my ears; Noel was here! For the past 4 months, every time that I would sit down to write a story about Noel, Pablo and our 2 spiritual sons Andres and Kervin, the sorrow was too great. These four boys exited from our lives. In September, Andres and Kervin went to finally be with the mother they have not known since Andres birth; they now live in Costa Rica. Pablo ran away in early July by himself during the night in a thunderstorm. Later in July, Noel ran away with another of our students, Douglas. Douglas was at Remar only a couple of months and did not like it. He talked Noel into going with him and promising him to help once they reunited with Douglas' family. 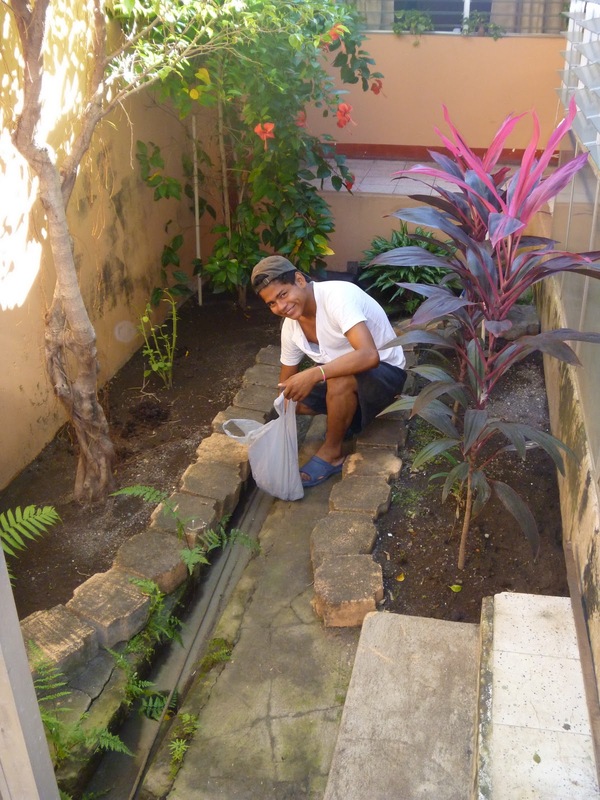 Noel had lived at Remar since he was 9 and at 16 years of age, he wanted a different life. His time in Granada, a city near the southern border, was spent working and living without the security of a stable home. He came to Leon and to our door with a friend who lives in Leon. His friend, Angel, was a "graduate" of Remar. Like all teenagers, they were hungry and luckily we had left-overs. Angel certainly enjoyed his food, he kept commenting 'rico', 'rico'. Noel wants to come back to Leon and it was unanimous that he should live with us. What are we going to do with a house full of young people, all trying to build and rebuild their lives? With God's guidance, we will figure it out. NOTE: PT came to tell me that a dove just now flew into one of our courtyards, landed on the walkway, looked at him and looked around the area and then flew into the ficus tree to perch. Hmmmmm, do you think it is a sign? What we do know is that these 4 young adults are safe and happy in our home. They all slept well in their beds and had a good breakfast this morning. Darcy is learning that she is loveable and valued for who she is. Aroldo is learning that even when you mess up, real families don't toss you out, you work things out (there was an incident while we were in Orlando). Nelson is learning that there are people in this world willing to give you opportunities to help you towards a better life. And, Noel, he is learning that when people love you, they always welcome you back with open arms. On this Thanksgiving day, we miss our own children and grandchildren very much; it has been a very long time since we have seen them. I pray that in our absence they will know how much we love them and we would not be away from them if God had not chosen us for this work. In the mean time, God has blessed us with 4 individuals to spend the day with us. We are thankful. We have a new addition to our home, Aroldo Yuriel Sandorval Gomez, age 20. We met Aroldo for the first time last February when he attended the carpentry class, beginner's phase. At that time he was living in the Remar facility. God immediately joined our hearts to Aroldo. He was eager to learn all that was being taught in the our vocational school.What was more astounding was his hunger for more knowledge of God and the desire to enter into deeper intimacy with Him. Our time of knowing Aroldo has not been without incidents. He has lived in and out of the Remar facility. A month after we met him, he showed up at our home late one evening with another student. They had been out in the neighborhoods trying to sell products for Remar (which is a source of income for that ministry). Sales were non-existant on that day, so they decided to head to Managua thinking sales may be better. After another attempt of selling and still with no results, they hitch-hiked back to Leon and came to our doorstep, afraid to go to Remar because of the consequences of being past curfew and blowing what little revenue from the day's sales on transportation and food. Once back at Remar, we did not see their presence in class for a month because of the discipline. Fast-forward a couple of months to when he ran away from Remar. After a couple of weeks on the streets, he came to our door. We let him stay with us, but he was only in our home for 2 days, he preferred his life of "freedom and sin" on the streets to safety in our home. He came to us one more time in the middle of the day, after another month on the streets. He was drunk, tired, hungry, thin and in need of a bath. After he showered and washed out the clothes he was wearing, he tried to give us a few cordobas to show his gratitude. We fed him, put him to bed for a nap and kept him hidden from the students during class time. After classes, we had Pastor Jose come over to our home so that we could converse with Aroldo about his life. We convinced him to return to Remar and we all escorted him over to the facility. He stayed only one week. After that time there were two more attempts of him having extended stays at the rehab facility. Each time, we saw positive change, his health being restored and his relationship with the Lord being renewed. Then he abruptly left the facility in September and we found him sitting on a park bench where he had slept. He did not want to go back to Remar and we would not let him come to our home. He was able to get a job as a cook at the small local hamburger stand in the park. The owners of the stand helped him with a place to live. It was a good beginning for him. He worked alone seven days a week from 7AM to 10PM. One of the things we have learned in working with people in recovery is they need to avoid getting lonely and tired. Whether it was burnout or the lure of the streets, he vanished from the hamburger stand after two months. As of one week ago, he has been in our home. The people in the park knew that we had been looking for him and he was brought here. After a conversation about his current circumstances and explanation of what we expected of him, he settled into his OWN room. One night during dinner a couple of nights ago, he said he was grateful that we did not bring up his past bad choices and making him feel worthless. He is adjusting to a life of rules and procedures with us. He is back in class, making friends with the newer students. He plays soccer in the street out front of our home with the other neighborhood boys, which he loves. We spent an afternoon at the beach with our neighbors and their sons. He's reading his bible, watching a lot of Christian TV and attending youth group at our church. 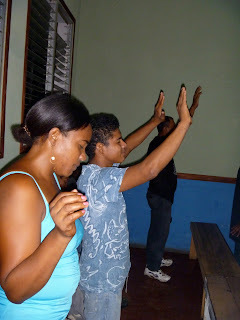 He went with us to the weekly Remar evening service and connected with some of his old friends. He's experiencing life as a normal teen and we are seeing him flourish. There is a lot of work ahead of us. Teens here are very independent and unsupervised; I have yet to see correction, no matter what the age (toddlers on up). A new life of rules, correction and discipline is a huge adjustment for someone like Aroldo. His mother moved to Costa Rica and left him when he was 4 years old. He has five siblings from different fathers. He was raised by his paternal grandparents until his grandmother died. He lived for a brief time with his father but he said his father drank a lot and would take Aroldo with him. This may have been the start of his drinking habit. He left his father because he did not like his life there. Thus he ended up on the streets trying to survive. Aroldo's mother is coming to visit her other children this month. She always spends time with the others and sends money to the others. This is very hurtful to him, yet he says it makes no difference because he doesn't know her any way. No child likes the feeling of abandonment, that stigma stays with you forever. Pray for Aroldo, for his healing and recovery. Pray for us to have abundant wisdom to take care of him and guide him. He's a very special young man and we want him to grow into all God has planned for him. Would you consider helping monthly to defray the costs associated with Aroldo living with us? As a young man, he EATS a lot and is in need of toiletries and clothes; $2 a day. If you have a desire to help in the care of and changing the life of this fantastic young person, please contact us direct at 336-793-1617 to discuss the arrangements and length of care, or email restorationofthenations@gmail.com and we will contact you.